Be present in your day. Reflect on all that was. 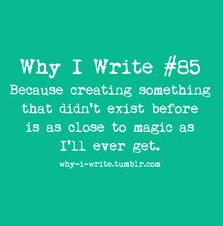 Write. Let your words surprise you. What to do on a very hot day? Thoughts to Inspire Positivity http://beyondliteracylink.blogspot.com/2016/06/thoughts-to-inspire-positivity.html As the school year begins to wind down, #NYEDChat spoke about celebrations last night. This post is dedicated to connected educators and colleagues who focus on positivity. Ridiculous, paralyzing overthinking…care to feel better about yourself at my expense?? Excited to share favorite books, blogs, and sites with a future educator! On summer break, resolved to write! Today was the last day of school, but it didn’t feel like it. Inspired by Dana Murphy and Kate DiCamillo. With so little worth watching on TV, we have found a new channel. Today after I drove my friend, Ruth to the airport, “Claire de Lune” came on the radio. I’ve always found this piece by Debussy to be sweetly melancholy, and today it was the perfect music for my mood. Today, I am a grandmother in waiting as my daughter is in labor. Not knowing what to do with myself, I wrote a letter to my unborn grandson, nudged my my writing angel, Gabby. Mourning the loss of one special lady with bright blue eyes. http://wp.me/p6nQS4-4r Putting the hours in the chair to write daily. 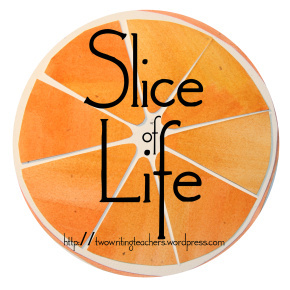 A slice about my sister the math teacher and me the English teacher and how much we are different. Today’s slice of life is modeled after Oprah’s “What I Know for Sure” that is published in her monthly magazine. Enjoy! It’s summer and here is what I promise to do! Always thinking of picture books! So today was Day One of the TCRWP Writing Institute and I’ve already heard/learned/revisited so much. What key themes and ideas stand out for you? A list of things I’m looking forward to once I am retired. Two years after retirement, a return visit to my school inspired many feelings…some of them very surprising!